After we done the website and their member's portal, we have more collaboration with them like meeting room booking system and food payment system. Their goal is wanted to bring everyone that comes to work in co-working space together. Most of the co-working space in Singapore are mainly focusing on their service, interior design etc. But Spacemob want to have a step further, connecting everyone the comes from anywhere and makes the community stronger and willing to share their stories to others. Their initial team is based in our office meeting room that we borrow to them as their "base" when they are still settling up. That's why our relationship with them is very close. We use Moqups as the wireframing tools. It is a very good tool because we can collaborate with our designers and also client's product manager seamlessly. As always, while we are doing the user experience works, I will prepare a visual inventory to have more conversation and question to ask clients. This workflow will makes me move forward faster and discuss the styles early before straight go into designing pixels. Below are some of the element collage I did once we have figure out what is the components needed from our wireframes. All these are in exploration stage so not all the visuals are implemented into the final design. After we have work out the final flow and the product manager are giving us green light to start on the actual visual design. 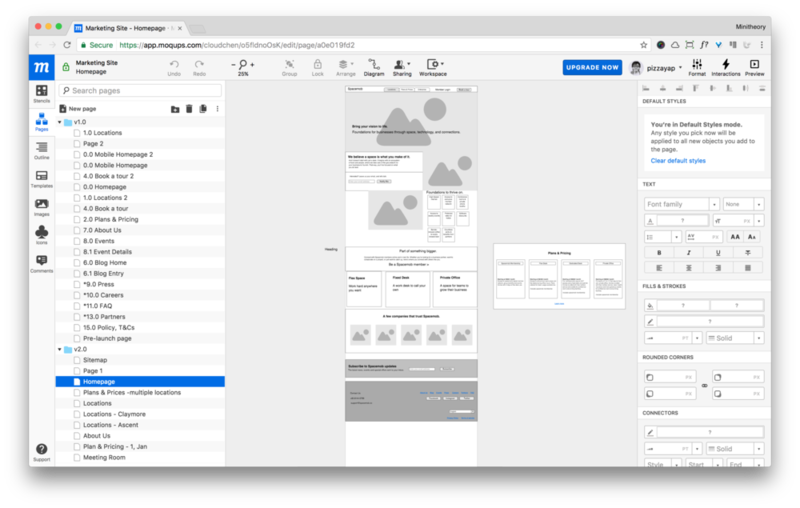 Now we have all the wireframes, know what is client visioning through visual inventory conversation, element collage. I can start the visual design with ease.